Interesting Dharamsala Travel, Life of Gautama Buddha, Buddhist Hand Gestures, Tibetan Life in Dalai Lama Town, Dharamshala Travel,India ! Enrich your Dharamsala Travel..Taj of Compassion-Siddartha Buddha ! Travel to India, in the Dalai Lama's town, Dharamsala which is today a center of Neo-Buddhism, the seat of the highest Buddhist faith! 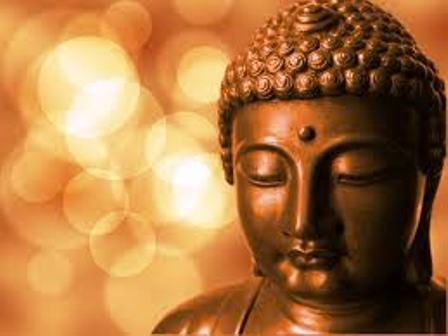 We will introduce you to 'Buddha' the founder of Buddhism, icon of Meditation..a life style symbol of the Middle Path & Contentment and Father of Ahimsa..Non-Violence! This we hope will guide you throughout your visit here and add to your personal growth. Prince Siddartha was born in Lumbini in the foothills of the Himalayas in what is now, Nepal), to the Kshatriya caste of warrior-aristocrats. He was the heir to the position of "prince" of the Shakya clan's village of Kapilvastu. Siddharta married and had a son: Rahula. There were three main incidents which affected and questioned his soul immensely. He saw a diseased person, an old man and a dead body. In search of permanent salvation and joy , at age 29, around 534 BC, Siddharta abandoned his inheritance and palace and began living an ascetic life wandering from place to place. After six years, around 528 BC, he found that the severe practices did not lead to greater understanding,and concentrated on meditation and the "middle path" (a practice of non-extremism). This enlightenment of the Mind and Freedom of the Soul came to him in Gaya under a Bodhi tree. This enlightenment is called a state of "Bodhi," and hence the name "Buddha," or "Enlightened One." Starting from Sarnath - Varanasi where he gave His first sermon, the remaining 45 years of his life, he traveled the Gangetic Plain of central India teaching his meditation practice to all. 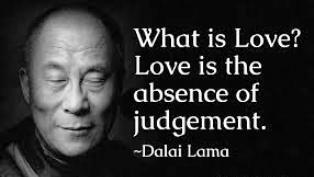 He founded the community of Buddhist monks and nuns (the 'Sangha'), to continue the teachings after his death. After intermittent illness, the Buddha died at Kusinara (now Kusinagar, India) at the age of 80. His last meal was 'sukara-maddava' which he had received as an offering from a smith. The correct translation of this term is unknown; 'sukara maddava' apparently means something like a "delicacy". Sukara-maddava may mean "mushrooms or tubers enjoyed by pigs". Vegetarianism is for Buddhists an ideal rather than a mandate, and monks and nuns in particular are allowed to accept all offerings of food made to them (unless they know an animal has been killed especially to feed them). Your Dharamsala Travel to India will be a journey of 'Self Realisation'..a permanent joy in your life. Remember Buddha's last words in the town of Dalai Lama : "Subject to change are all things. Strive on with diligence." Travel with the purpose of growth ! 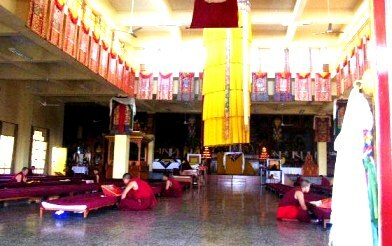 **Discover the town of His Holiness in Dharamshala Travel..CLICK THIS PICTURE !! Attend Dalai Lama Teachings this year in 2019 ! 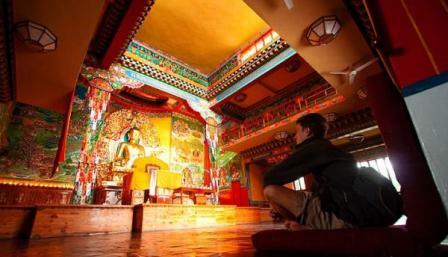 In your Dharamsala Travels..discover Buddhist gestures of Dharma, Compassion & Meditation ! The thumb and index finger of the right hand stand for wisdom and method. The other three raised fingers symbolize the teaching of the Buddhist doctrine. 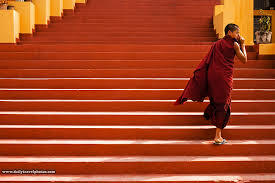 The position of the left hand symbolizes those who follow the path of Enlightenment. The right hand gestures pressing the earth. The position of the left hand symbolizes meditation. Together, they stand for the Buddha's Energy for overcoming obstacles in the path of 'Dharma'. 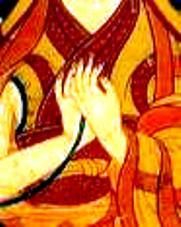 The union of the two thumbs in this gesture is of auspicious significance for the future development of the Mind of Enlightenment(Bodhichitta). 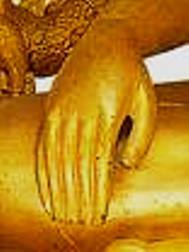 The gesture of the right hand symbolizes bestowal of supreme accomplishment.The left hand symbolizes meditation. Together, they stand for the Buddha's power to bless supreme and supreme accomplishments to all those who follow His Path. 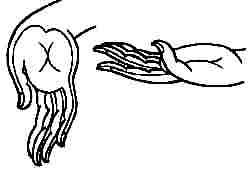 The gesture of the right hand stands for turning the wheel of Dharma, while that of the left hand symbolizes meditation. The union of both symbolizes the teaching the Dharma while in meditation. Discover on your Dharamsala Travel a new found energy, higher strength of tolerance and better understanding of Human Spirit & Survival! The Highlight of your trip to Dharamsala can be the teachings of His Holiness, the Dalai Lama, Yog/Meditation or outdoor camping.Paragliding in the skies and Mountain Bike Tours can be your adventure high here. "Hello! Iam finally back in Kansas City right in the middle of North America. Although Iam enjoying getting back into the swing of things here, I miss Dharamsala very much. My too short trip there, left such a great impression that can only be surpassed by another longer trip. 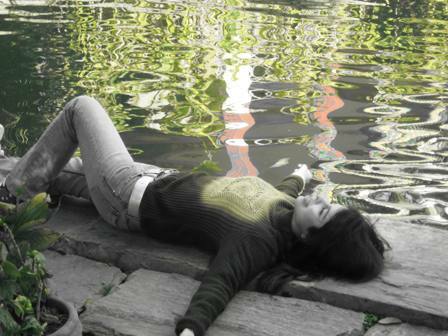 I have never slept better and Vidya Niwas is one of the most relaxing place I have been. I feel very grateful for a very enjoyable stay and miss the good food. Every moment was 'special'! David & Charles Meers, Kansas City, USA - March, 2005. 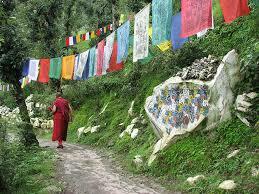 Make Your Dharamsala Travel interesting..Go to Dharmshala for Tibetan-Places Names !! Dharamsala Travel for your personal growth is ideal for Special Retreat Programs with yoga and meditation along with other spiritual activities ! Dharamshala Travel will no doubt bring Peace and Happiness in your life..
**Remember not just Buddha's Teachings..but follow and practise them in your Sacred Travel to Dharamsala !! **As a destination for Neo Buddhism it is a place for earning yourself a lifestyle when you come for a vacation. 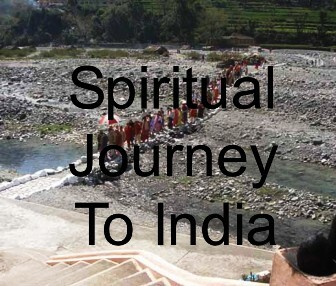 As you learn here you will want to travel with the Buddha in your journey to India. From Lumbini where he was born to Kushinagar where he passed in Nirwana..this can be a Journey of a lifetime for you. **Journey to discover the divine in you..Travel to Dharamsala leads to your personal growth and peace. !" **Dharamsala Tours & Travels is currently offering Eco-Green Holidays in the Trans-Himalayan belt of India, Bhutan, Nepal & Tibet ! **Make your Dharamsala Travel interesting with a 'Buddha Tour in India & Nepal..Click the Graphic below ! 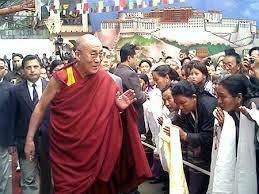 For more on Dharamsala Travel to Dalai Lama Abode..! Contact US for your holidays in Dharamshala! Drink your cup of wisdom and enlighten your soul in your journey to India..!